we're here to help your business move at the speed of digital. We build custom software that empowers our clients to focus on achieving their mission goals. Armed with the right software tools, our clients have automated manufacturing line processes, increased the efficiency of the projects developed by remote teams, controlled the chaos of fleet management, streamlined the management of activities in hotels and restaurants, and made old products new again. Whatever your market and challenge, the experience we’ve gathered over the last 20 years ensures we have all the necessary knowledge to help you change the status quo. We develop business-friendly web apps that are scalable, secure and give users a seamless experience across a wide range of devices. From front-end user interfaces to embedded software systems and everything in between, our web development services cover every level of the stack. We provide mobile app development services for mobile phones and tablets — Apple/iOS, Android or cross-platform. Whether you are looking to build an app from the ground up, or to add features to an existing solution, our apps will seamlessly integrate into your business workflow. Traditional desktop software is a great choice for data analysis and business tools. We revamp outdated software to increase performance and/or develop new systems to meet your specifications, for Windows PCs, Apple computers, and Linux servers. Over the years we have arrived at a standardized system deployment life cycle. This allows a predictable work process, with minimized risks and cut down costs. Our affordable pricing coupled with the ability to professionally guide the process makes us a helpful partner for best practices and long-term development. We specialize in custom made machine vision systems that combine our proprietary software with hardware from all major providers, thus ensuring higher image processing speed and shorter response time than out of the box solutions. Our clients appreciate the cost savings and speed that our solutions deliver. 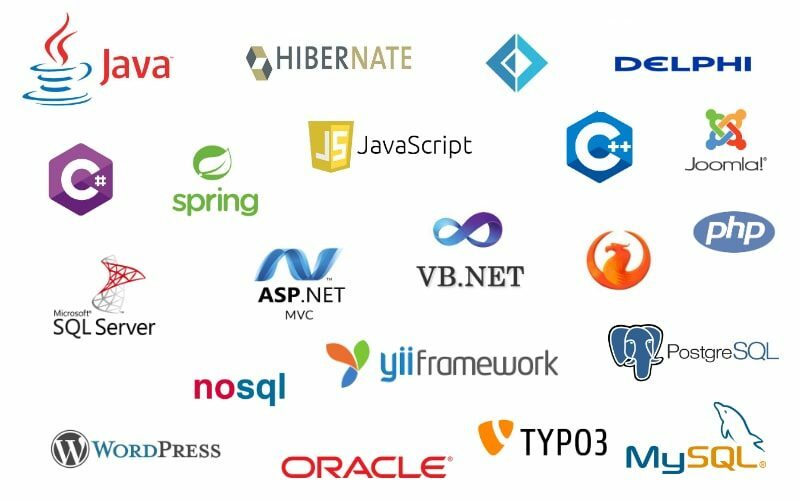 The consulting services we offer are grounded in our two-decades-long work and experience in developing custom software products in an Agile manner. We can help you create a tech-driven digital strategy and improve the operations by optimizing the software portfolio your company uses. Our core operating principle is quite simple. We strive to remain a company that our customers love working with, and our employees love working for. We have been working with AMBO for more than 13 years. AMBO has consistently provided us with highly skilled software engineers and architects. The engineers we worked and still work with are not only capable of implementing according to given specifications but have contributed significant ideas to improve our products and services. All AMBO people we dealt with were a pleasure to work with. We can characterize them as friendly, reliable, diligent, outgoing, professional, and up to date with the latest technologies. The turn-over rate has been very low. Having worked with other companies in the same field I would say that AMBO's performance is way above average. I've been working with two Ambo developers for more than a year now. I couldn't be more satisfied: they are highly trained and excellently skilled people with a great professional attitude. With my more than 30 years of experience in software development, I can truly appreciate this team's down-to-earth, straight to the point, game-free approach. Last but not least rates are quite affordable too. We’ve been working with AMBO since 2016 and working with them has always been great. Especially, since we were able to integrate their developers into our teams, which led to great communication along the way. Hence, they developed a good understanding of our products and workflows, and therefore, always delivered the expected high quality we are looking for. Enough about us. This is supposed to be about you. You are visiting our website because you probably have a specific challenge you think we might be able to help with. If that’s the case, stop thinking and just contact us, we gladly assist – we offer free, no strings attached, initial consultation sessions.